1. System of competition for Eight (8) teams: According to the FIBA principles. Regular season of 14 rounds - 7 home games and 7 away games, total of 54 games. 2. The First Four (1-2-3-4) teams after the regular season will play as follows: 1 vs. 4 and 2 vs. 3 home and away to decide the 2 teams for the Final games. 3. The two winners from the Playoff series will play the best of 3 games. The winner of the Final series will be named BIBL Champion. The team that will have the most winning games during the regulars season will have the home advantage in the Final games. 4. New and full financial details and conditions from season 2018-19 was sent to the federations and the clubs. Ø Opening Game on 09.10.2018 – TUE. Ø Round 1 RS, 09-10.10.2018. Round 2 RS, 16-17.10.2018. Round 3 RS, 23-24.10.2018. Round 4 RS, 06-07.11.2018. Round 5 RS, 13-14.11.2018. Round 6 RS, 11-12.12.2018. Round 7 RS, 17-18.12.2018. Round 8 RS, 09-10.01.2019. Round 9 RS, (WED+ THU) 15-16.01.2019. Round 10 RS, 22-23.01.2019. Round 11 RS 05-06.02.2019. Round 12 RS, 12-13.02.2019. Round 13 RS, 05-06.03.2019. Round 14 RS, 12-13.03.2019. Ø Play Offs, Round 1, 26-27.03.2019. Play Offs, Round 2, 02-03.04.2019. Ø Final games: Game 1 (Best of 3) 09.04.2019; Game 2 (Best of 3) 11.04.2019; Game 3 (Best of 3) on 16.04.2019. BIBL would like to thank Mr. Avni Ponari and SIGAL UNIQA Group for the very good cooperation for the last 3 seasons. The league is now in the process of finding a new main partner/sponsor for the league name. 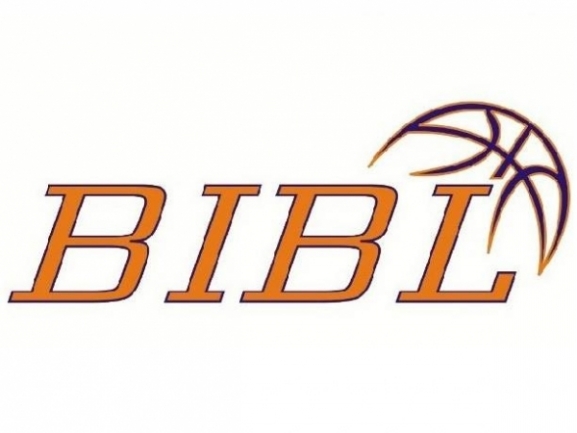 The Balkan International Basketball League (BIBL) is an organization, officially recognized by FIBA and FIBA Europe according to Art.30, Annex II from FIBA Europe By-Laws and reconfirmed on March 7th 2015.